M-T 7:00 am to 5:00 pm. W-F 8:30 am to 5:00 pm. We are open during lunch hours. After hours and weekends by appointment. US 45 to Capital exit. West to 124th St. Go North. We are on the left across from Home Depot. 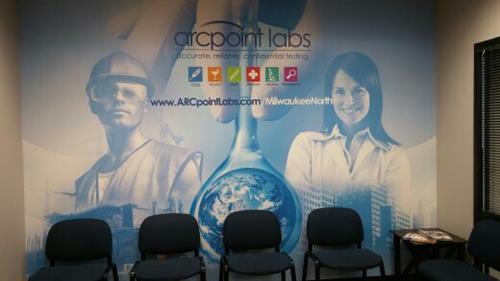 ARCpoint Labs is one of the nation’s leaders in drug testing, alcohol screening, DNA & clinical lab testing, corporate wellness programs and employment/background screening. We are among the fastest growing Third Party Providers in the drug testing industry. 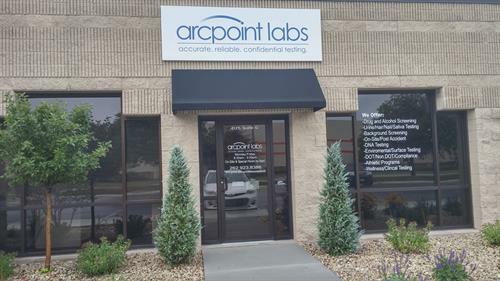 Providing the most comprehensive menu of screening services and employment solutions, ARCpoint Labs stays abreast of the latest technological trends and improvements in the drug testing industry to ensure you receive Accurate, Reliable, and Confidential Testing. Our leading-edge company is committed to innovation and was among the first to offer advanced, instant, and affordable testing solutions including Drug, Alcohol, DNA, Steroid, Background Screening and Clinical Lab testing. With the rising costs of healthcare, more and more people are looking for cost-effective, convenient medical care for common health problems and illnesses. Unfortunately, many do not find affordable care, and thousands of individuals postpone treatment because of the expense, inconvenience, and scheduling difficulty that accompanies pursuing care. Others choose to go the more costly route when treatment can no longer be delayed, opting for visits to an Urgent Care Clinic or the Emergency Room (ER). Thanks to Telehealth Services from ARCpoint Labs, delaying care or pursuing costly treatment are no longer the only options for employers or individuals. Our program provides access to high-quality, convenient telemedicine providers at a low monthly price whenever and wherever it’s needed without hidden fees.